One particularly fascinating historical figure I ran across in my research into the 11th century was Gerbert d’Aurillac, possibly one of the most learned men of his time. For most of his life Gerbert was a scholar, scientist, mathematician, poet, philosopher, statesman and soldier. For a few years at the end, he was also a pope: Sylvester II. Born into a humble family in southern France in the mid 10th century, he was educated at the Benedictine monastery of St. Gerald. His teachers recognized his promise, and eventually sent him to the monastery of Santa Maria De Ripoll. This was one of the five intellectual centers of northern Spain. 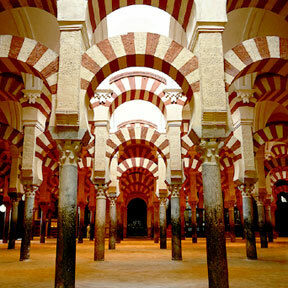 Situated near the border with the Moorish caliphate, the abbey focused on translating Arabic manuscripts into Latin. Gerbert had the knowledge of the Muslim world at his fingertips! Fervently he took up his studies, particularly Mathematics. He mastered the abacus, studied astronomy, and would, eventually, introduce Arabic numerals to Western Europe. He also visited Cordoba, the most populous city in the world at the time and the intellectual center of Europe. A city of mosques, palaces and baths, it was a cultural, political and economic center. Its library boasted one million books. Gerbert was in Spain for three years, but he was an intellectual and a scholar throughout his life. He would invent the pendulum clock; he would construct sundials and celestial globes; he would not only learn to play the organ, he would learn how to build them. He was so brilliant and accomplished that several hundred years later historian William of Malmsbury would diverge from his history of the English kings (actually, interrupting a tirade about the hapless Aethelred II) to go off at a tangent for several pages regarding Gerbert d’Aurillac, claiming that he was a necromancer and had made a pact with the devil. Apparently, in William’s 12th century world view, it was impossible to believe that a mere human could have been so learned without a little diabolical assistance. In 970 Gerbert made his first trip to Rome where he became part of a circle of intellectuals and artists. There he was introduced to Otto the Great, founder of the Holy Roman Empire and emperor of Italy. As Otto’s court mathematician, Gerbert spent two years travelling with the court, then settled in Rheims as head of the Cathedral School there. He taught writing, reading, grammar, rhetoric, geometry, astronomy and music. He began to collect books for his private library; he was a patron of the Greek classics at a time when, in Rome, classical learning was considered debauched, and Greek manuscripts were being scraped clean and re-used. Gerbert spent many years in Rheims, involving himself in the succession struggles of the infant Otto III as Holy Roman Emperor. He also worked towards the overthrow of the Carolingian kings, Lothair and his son Louis V. Eventually Louis accused Gerbert of treason and attacked Rheims, but Gerbert and his troops repulsed the king. A year later, when Louis was killed in a fall from his horse, Gerbert’s efforts were rewarded when Hugh Capet became France’s first Capetian king. Gerbert was also deeply involved in the stew of church politics. His appointment by a council of bishops to the post of Archbishop of Rheims in 991 was opposed and eventually declared invalid. Gerbert meantime had allied himself with the young Otto III as counselor and tutor, accompanying him to Italy for a magnificent coronation in 996. 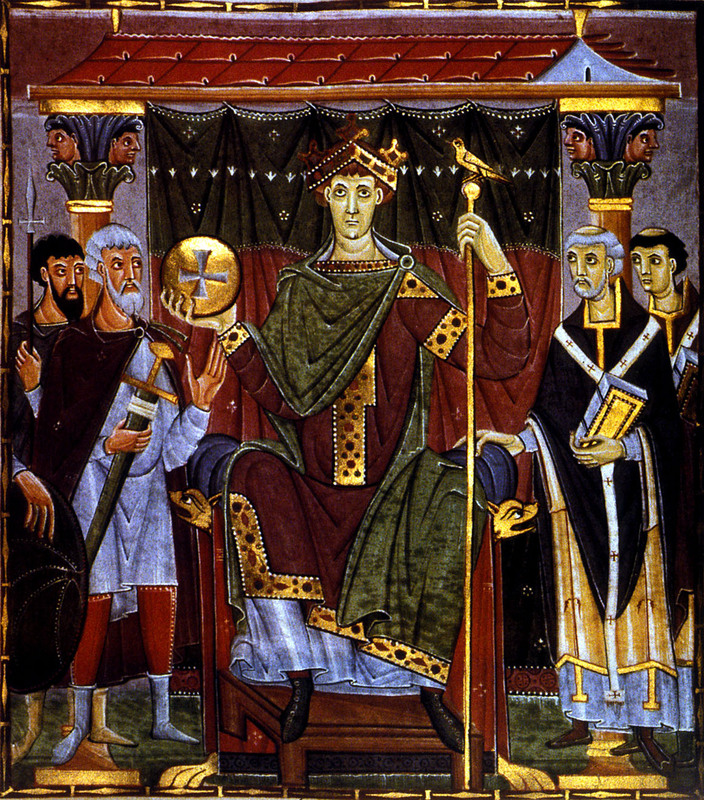 In 998 the Pope granted Gerbert the Archbishopric of Ravenna, and when the Pope died in 999, Gerbert – through the influence of Otto III – was elected to replace him. 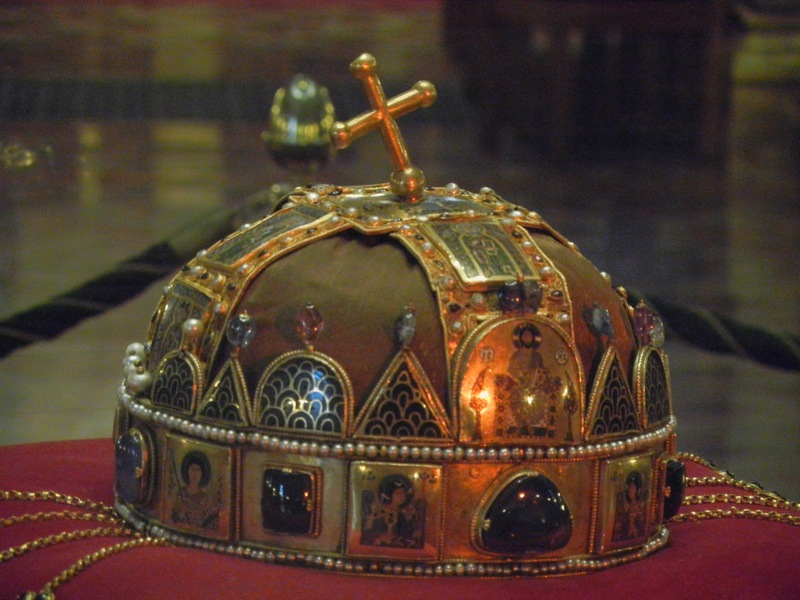 According to the Catholic Encyclopedia, Pope Slyvester II administered his office with earnestness and “a profound sense of responsibility.” Among other accomplishments, he brought Poland and Hungary into the Christian fold. 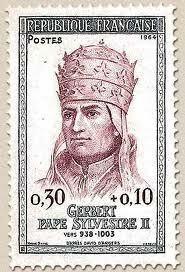 Pope Sylvester died in 1003. William of Malmesbury insists that when the devil came to claim him, the Pope committed suicide by cutting up his own body. Personally, I find this hard to swallow, but the belief persisted for centuries. In 1648, in order to confirm or deny the story, Gerbert’s body was exhumed, and found to be in one piece. So much for William of Malmesbury. Still, the stigma of Gerbert’s dabbling in the Dark Arts remains even today. In the 2010 fantasy novel “A Discovery of Witches” Gerbert makes a cameo appearance. Author Deborah Harkness, a history professor at USC, sides with William of Malmesbury, and one of the most brilliant men of the 10th/11th centuries appears in the 20th as a vampire. Some guys just can’t get a break. Sources: “The Last Apocalypse”; Reston, James. Every early Scholar who was interested in early-science got accused of Necromancy, this pope was just one of several figures who had that same legend related. Point taken. And it is an indication of the superstitious beliefs and suspicions of the medieval world. William of Malmesbury’s digression, though, in the middle of his observations about Aethelred Unraed really made me question every single line of his history.